Celebrate Spring Break at the Children’s Museum! Become a Castle Builder and start designing, creating, and building this spring break. Grab a construction hat and join us daily from 11:00AM – 3:00PM for fun interactive building activities, special guests, crafts, and more! Let’s start building and kick off Spring Break at the Children’s Museum! Construct life-size cardboard castles as you create a collaborative art project with special guest artist, Colleen Leduc. If a cardboard castle isn’t for you, we have our Duplo Blocks available too! Castles and dragons at the Children’s Museum? Come create your very own paper plate dragon, play “Prince, Princess and Knight” and unleash your imagination building with special guests, Bricks 4 Kidz. There will be Lego racing, castle mosaics, and more! Become royalty for a day at the Children’s Museum and craft your very own crown. Afterwards, build a fort for you and your kingdom. Join special guests Let’s Talk Science as they guide you in building your very own marshmallow structures and more! **BONUS! ** Catch a demo workshop of TETRIS by MTYP from 10:00AM – 10:30AM! Explore amazing structures with special guests, WISE Kid-Netic Energy! Create tin foil canoes, bridges, towers, and more. Who said cups were just for drinking? Come and play Stack Attack with as many cups as you can. Then after all the building, take some time to design a modern-day version of a medieval crest of your very own. Join special guest artist Megan Krause as she helps guide you in designing cardboard castle creations. Add your own special touches to the museum’s cardboard castle as we continue creating all week long. Then, put on your armor and tackle our very own Knight Obstacle Course. Become a master builder! Make your own builder mask and get ready for a day of fun. With your mask, a museum map, and your detective skills, hunt down the building blocks hidden throughout the museum. 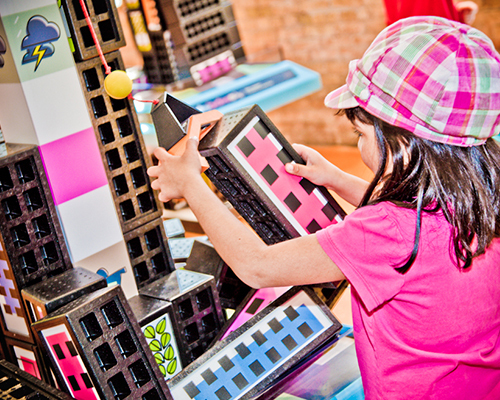 Join special guests Bricks 4 Kidz in the building extravaganza and create Lego masterpieces. What’s in your castle? Get creative as you craft your very own castle sticker. Ever wonder how all the building materials get from the source to the site? A train – that’s how. Gather in the Great Hall to jump onto the Fun Express Train courtesy of Playworld Fun Rentals. Join Let’s Talk Science as you explore the physics of flight, compete in a bridge building competition, and experiment with levers and pulleys. 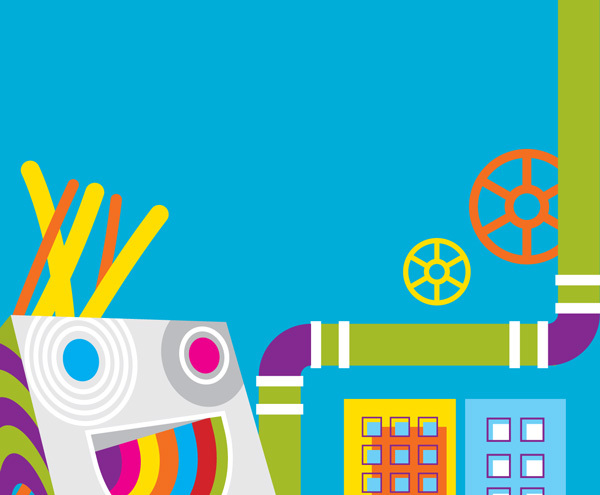 Head over to the Creation Station for even more building with pipe cleaners and straws. Later, you and your friends can build together using your own bodies during a game of Human Building. Enjoy your last day of vacation at the museum before preparing to go back to school. Create a cotton swab castle painting. Build a tower as tall as you with Tumble Blocks. Join Design It! to build a Wacky Gumball machine with various materials and marbles.